Shades of blue make me extremely happy! When I designed this card, I wanted to combine all the amazing inks available from Imagine and as I hoped something magical then happened. 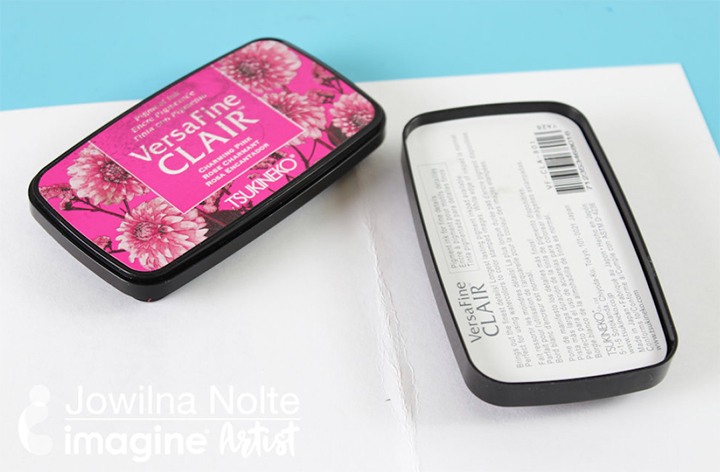 See how I create this beautifully blended background using shades of VersaMagic inks and then top it off with stamped sentiments in VersaFine Clair – a truly winning combination. 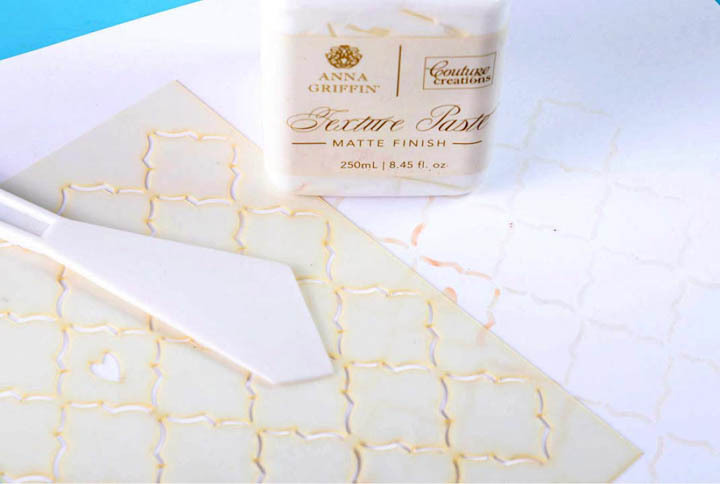 Start by stenciling a pattern onto a piece of smooth white cardstock using texture paste and leave to dry. 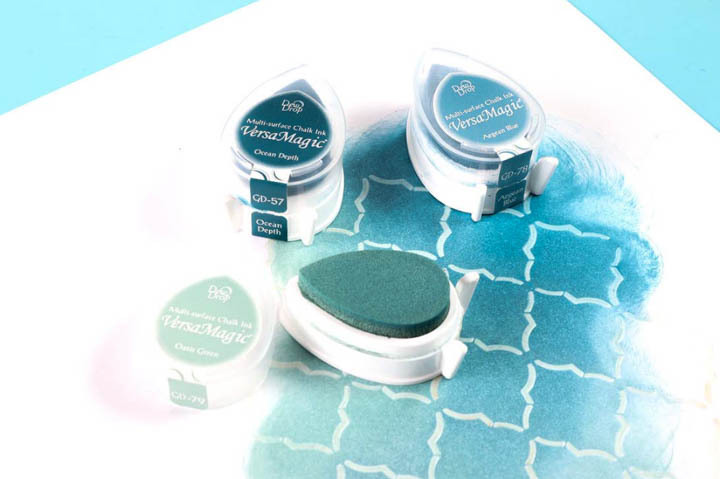 Once the paste is dry, start blending 3 colors of VersaMagic in Ocean Depth, Aegean Blue, Oasis Green over the design. Always start with your darkest color first and then add the lighter colors. Once you are happy with the look, add a final layer of shading over the entire piece with a light shade to blend the colors together. 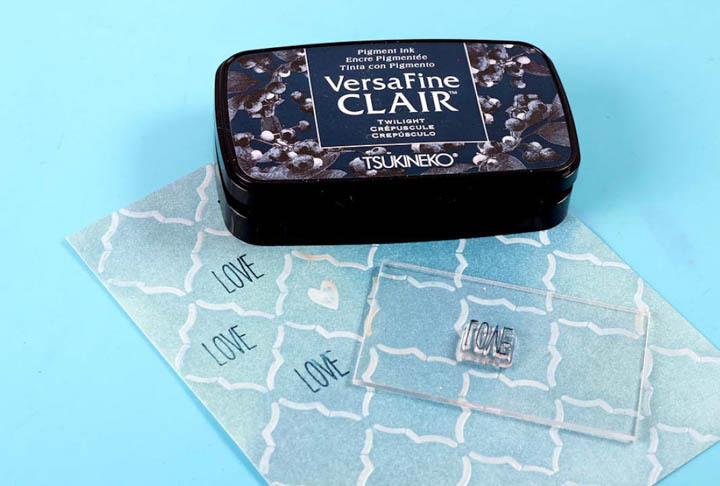 Use small stamp from your stash and stamp the words inside the pattern using VersaFine Clair Twilight. 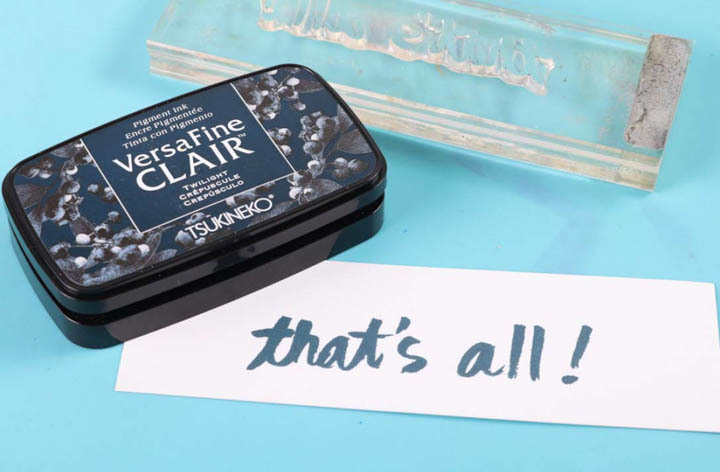 Stamp the “That’s All!” sentiment in VersaFine Twilight onto a piece of white scrap cardstock. 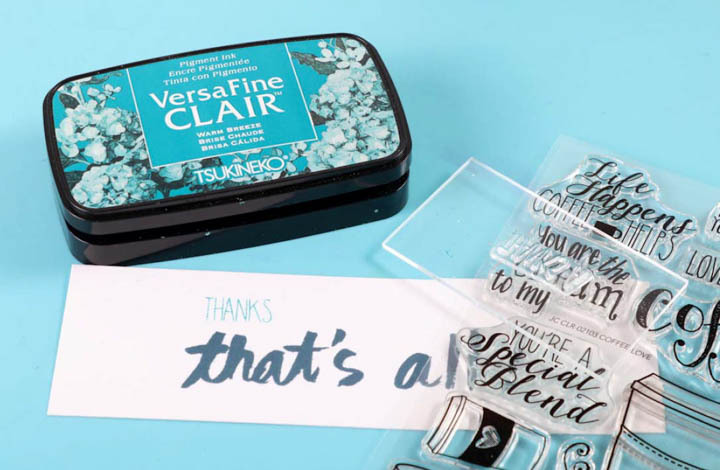 Stamp “Thanks” on top of “That’s All” using VersaFine Warm Breeze and trim to size. 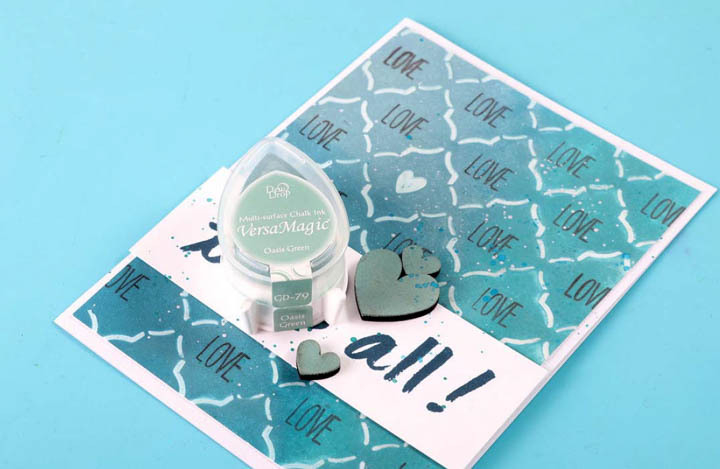 Color two or three wooden hearts using your VersaMagic ink and leave to dry. Adhere sentiment panel and hearts to your card to finish it off. 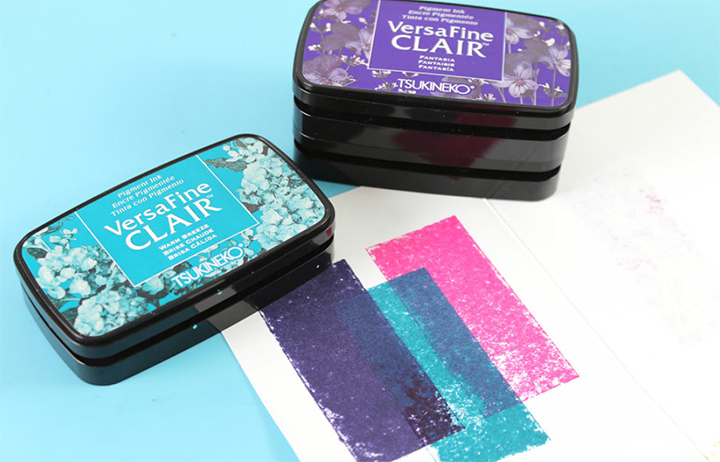 With the new VersaFine Clair inks, I can stamp in color, achieve crisp clear images and create fun effects. This truly is a game and mind changer of an ink and you will instantly fall in love with all of its amazing qualities not to mention colors. 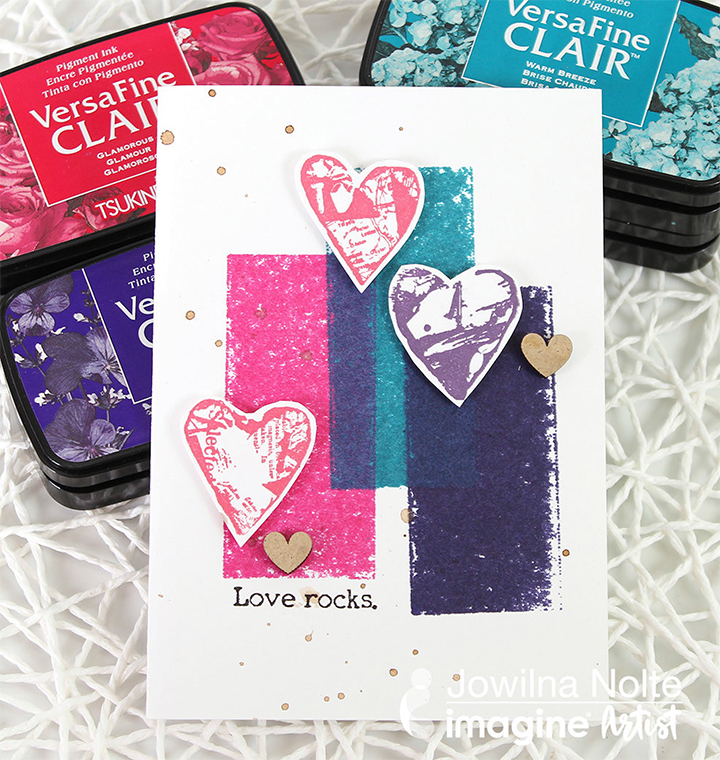 See how I put together this quick and easy Valentine’s Day theme card with three inks from Tsukineko. On a folded white card use the ink pad with the direct to paper technique and lightly press the ink pad onto the card front to transfer color onto the card. Repeat the process three times with different colored ink pads. Overlap the inks with each other. 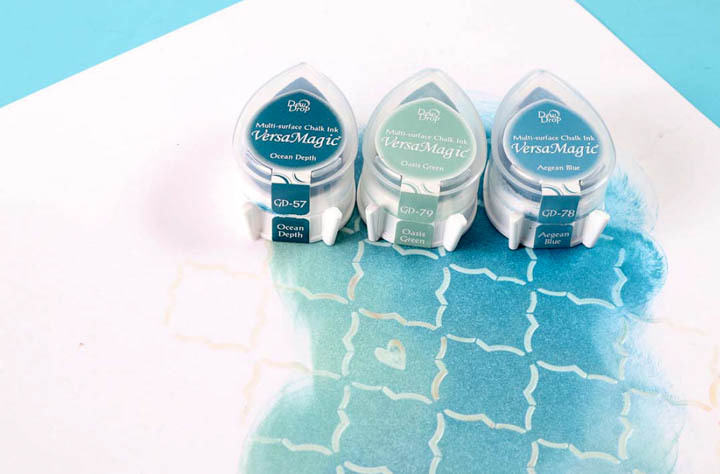 Notice how the inks are translucent and will show the other color creating a different color. 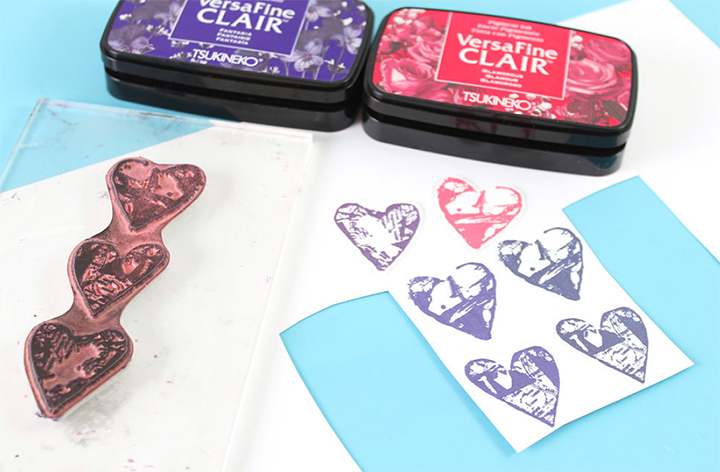 Use your same colors of VersaFine inks and stamp heart images onto white cardstock and cut them out. Once the ink on the card front is dry, which is almost immediately, use foam tape to raise the hearts scattered onto the inked panels. 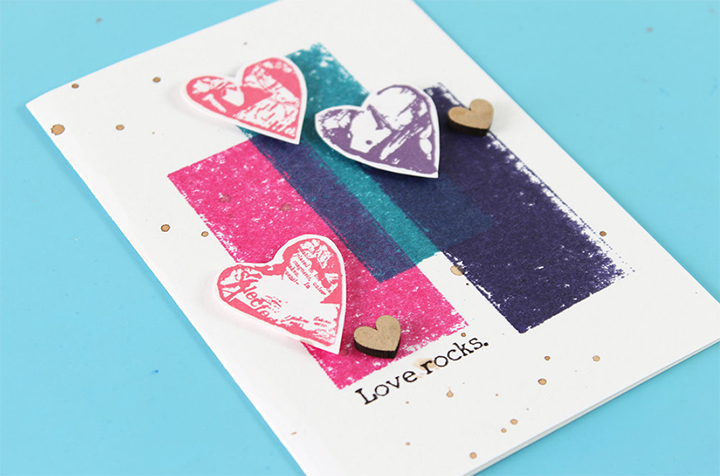 Finish off with a stamped sentiment and wooden hearts for a beautifully simplistic Valentines’ day love card. We hope you will fall in love with this amazing ink as much as we did!